The weakness of the term "ASK," the differences in trade channels, and the care with which consumers purchase respondent's products led the Board to dismiss this Section 2(d) petition for cancellation of a registration for the mark ASKBOT, in standard character form, for software and services used for "collaboration and information management, namely, for collection of questions, answers and comments, receiving feedback and votes for ranking content and users." The Board found the mark not likely to cause confusion with the registered mark ASK, in standard character form, for search engine software and services. IAC Search & Media, Inc. v. ASKBOT, Spa, Cancellation No. 92060041 (August 31, 2018) [not precedential] (Opinion by Judge Thomas Shaw). The Goods and Services: Because of their technical nature and the general wording of the identifications, the Board considered extrinsic evidence to clarify its understanding of the goods and services involved. Respondent's software and services allow users to create their own Q&A forums for "question and answer knowledge management," choose topics for discussion, and prioritize answers. Petitioner IAC provides search engine services, including a specialized search engine services focused on shopping. Respondent’s goods and services allow users the ability to create, organize and save both questions and answers for others, whereas Petitioner’s goods and services allow users to directly search the internet without any predetermined search parameters, and the results are neither organized nor saved. The parties’ goods and services thus serve different functions within the context of asking and answering questions on the internet. Nonetheless, the Board found the involved goods and service to be related because "both enable end users the ability to obtain online answers to questions, albeit via different methods." Trade Channels: Both parties’ software and services are offered online. However, “the mere fact that goods and services may both be advertised and offered through the Internet is not a sufficient basis to find that they are sold through the same channels of trade. The Internet is such a pervasive medium that virtually everything is advertised and sold through the Internet." The involved goods and services also are offered at significantly different price points to users. ASKBOT products and services are offered via third-party software, whereas ASK search engine software and services are offered for free. 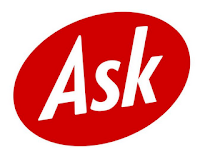 We recognize that users of Petitioner’s Ask.com search engine who are looking for Q&A software could be directed to Respondent’s ASKBOT products. However, this nexus between Petitioner’s ASK search engine and Respondent’s ASKBOT Q&A products is too tenuous to give rise to the mistaken belief that the goods and services of the parties emanate from the same source. The Board therefore found that this du Pont factor favored a finding that confusion is not likely. Purchaser Sophistication: Respondent’s customers would need to be able to understand basic computer programming skills, and so the Board found it likely that they also would be able to distinguish the parties’ products. And since Petitioner’s ASK search engine services are free and Respondent’s services require a monthly subscription, Respondent’s customers would be expected to exercise a higher degree of care in their purchasing decisions. And so this du Pont factor also weighed in favor of Respondent. Strength of Petitioner’s Mark: As to conceptual strength, third-party registrations established that the term ASK has some inherent weakness when used in connection with the parties’ goods and services: i.e., since one must “ask” a question in order to get an answer, “ask” is suggestive of the function of online information products. The Board found the mark ASK not inherently or conceptually strong. As to commercial strength, Petitioner claimed that its mark is famous but its proof of same was inadequate, It did not distinguish between its uses of various ASK-formative marks. And although Petitioner’s internet traffic and share of searches were "impressive and indicative of commercial success," the Board could not assess the actual impact of that success in creating brand awareness in the minds of consumers. Similarly, Petitioner's advertising expenditures were not put in context relative to other comparable internet search companies. The Board, however, did find that Petitioner’s ASK mark "has attained some commercial strength for the identified goods and services despite the inherent weakness of the term ASK." On balance, because ASK is inherently weak, third-parties frequently use the term ASK in connection with other information websites, and Petitioner has not established the fame of ASK alone, the ASK mark cannot be regarded as particularly strong and entitled to broad protection. The Marks: The term ASK is entitled to greater weight in the du Pont analysis because it forms the entirety of Petitioner’s mark and appears as the first portion of Respondent’s mark. Moreover, the term BOT is descriptive of Respondent’s goods and services because it "conveys the impression that the software or service will perform repetitive search functions." In sum, we find that the marks are more similar than dissimilar in appearance, sound and meaning, and have substantially similar overall commercial impressions. The addition of the descriptive term BOT simply is insufficient to distinguish the marks ASK and ASKBOT. Conclusion: Balancing the relevant du Pont factors, the Board found confusion unlikely, and so it dismissed the petition for cancellation. TTABlog comment: ASKBOT is open source software. Wikipedia entry here. Website here. I would never have expected ASKBOT to win. Holy cow, and pro se. Fire all the lawyers. Do you think the Board worked harder to understand the software functionality because it was pro se, and that made all the difference?